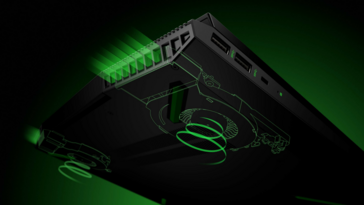 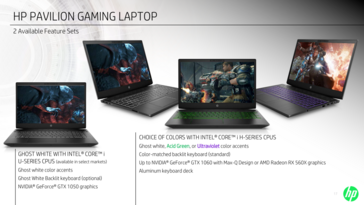 The Pavilion Power series is now the more aptly-named Pavilion Gaming series to tackle on the newly announced mainstream Dell G gaming series. Currently, SKUs are limited to a single 15.6-inch chassis but with a very wide range of CPU, GPU and display options up to the Core i7-8750H with Optane memory and GTX 1060 Max-Q graphics for $1020 USD. 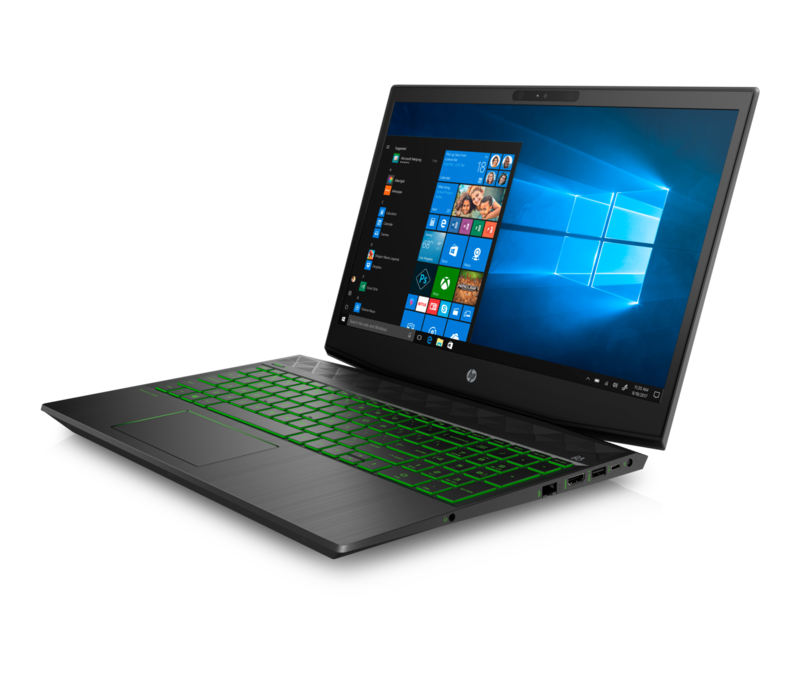 Intel's latest Coffee Lake-H CPUs will land on the upcoming generation of 15.6-inch HP Pavilion Gaming laptops. 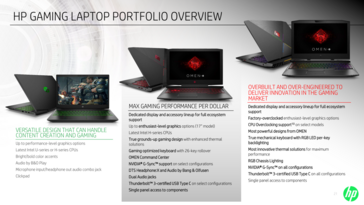 The series will succeed last year's popular Pavilion Power series with a brand new look and cooling solution inspired by the costlier HP Omen series. 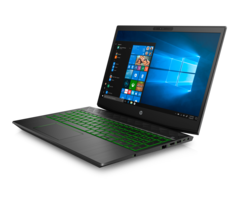 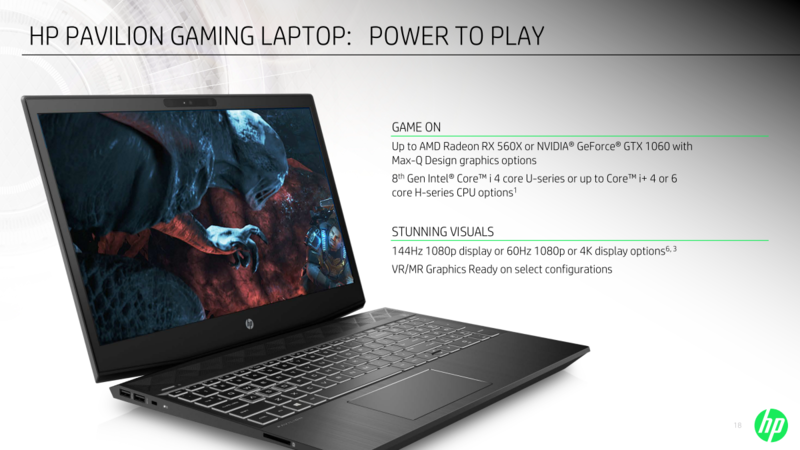 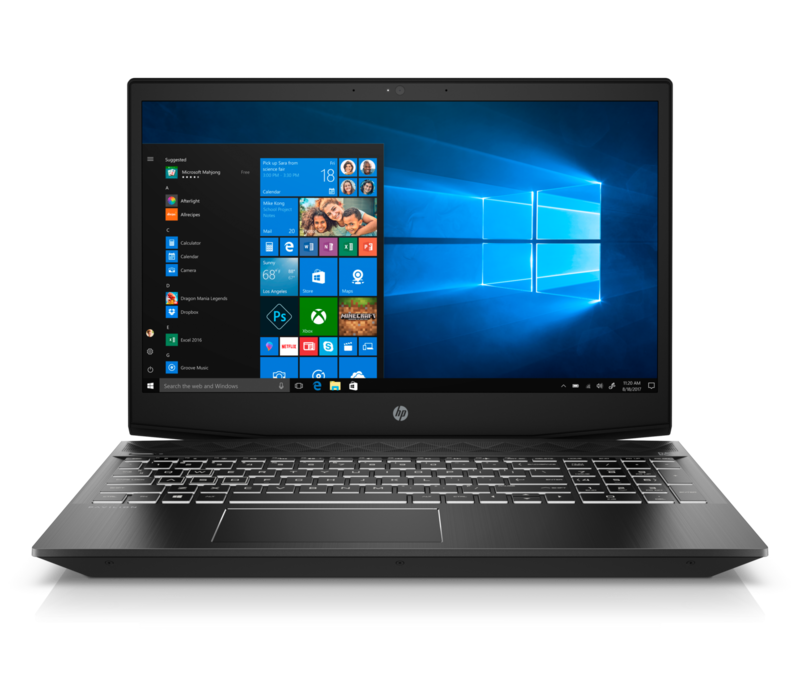 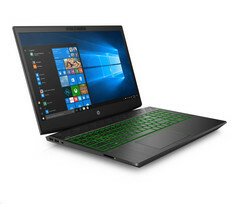 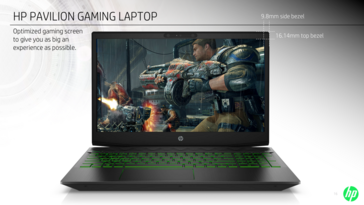 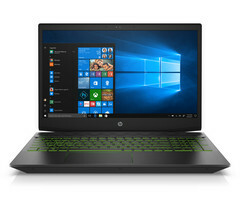 The Pavilion Gaming represents HP's entry-level offering for gamers to complement the mainstream and Enthusiast Omen and Omen X notebooks, respectively. As such, GPU options will range from the GeForce GTX 1050 up to the GTX 1060 Max-Q and the uncommon Radeon RX 560X. The lowest-end SKU will only carry quad-core Kaby Lake-R options while higher-end SKUs can carry the latest hexa-core 8th gen Coffee Lake-H CPUs up to the Core i7-8750H. 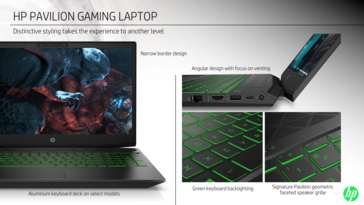 Interestingly, the higher-end configurations get additional Green and Violet keyboard backlight choices and even a 144 Hz 1080p panel option that is currently only available on flagship Coffee Lake-H systems like the MSI GS65, Gigabyte Aero 15 v8, or Asus ROG G703. 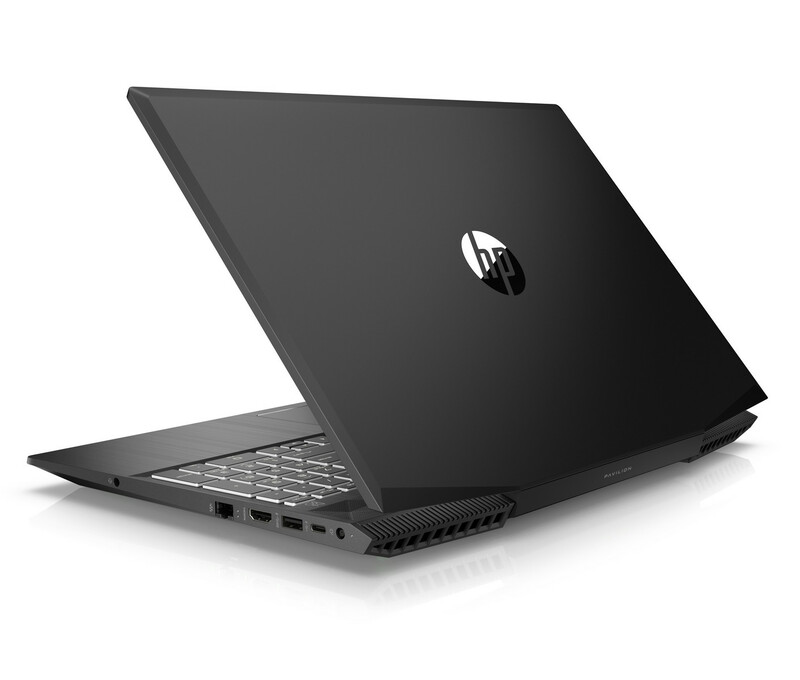 As for the exterior design, HP will be dropping its atypical "hooked" lid in favor of the traditional twin "jet engine-style" fans near the rear corners of the system. 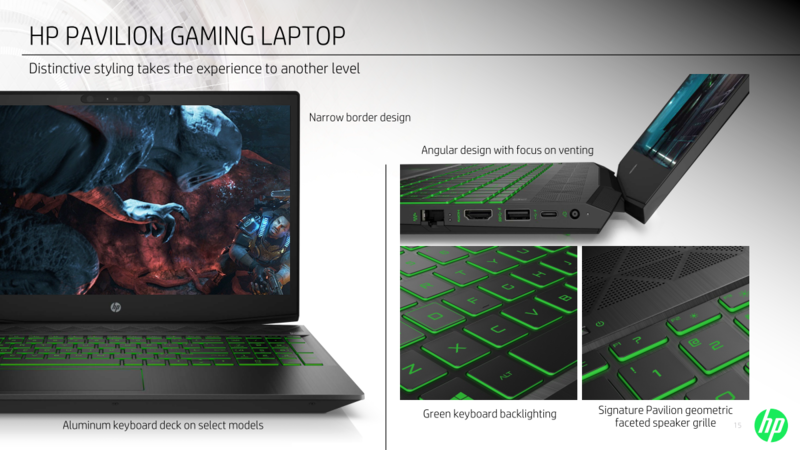 Display bezels will also be narrower to 9.8 mm down the sides and 16.14 mm across the top. 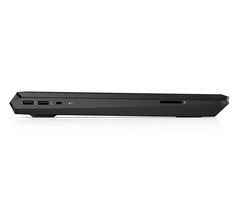 The resulting chassis is smaller in length (366 mm vs. 378 mm), thicker (25.4 mm vs. 24.1 mm), and heavier (2.35 kg vs. 2.29 kg) than the Pavilion Power 15. 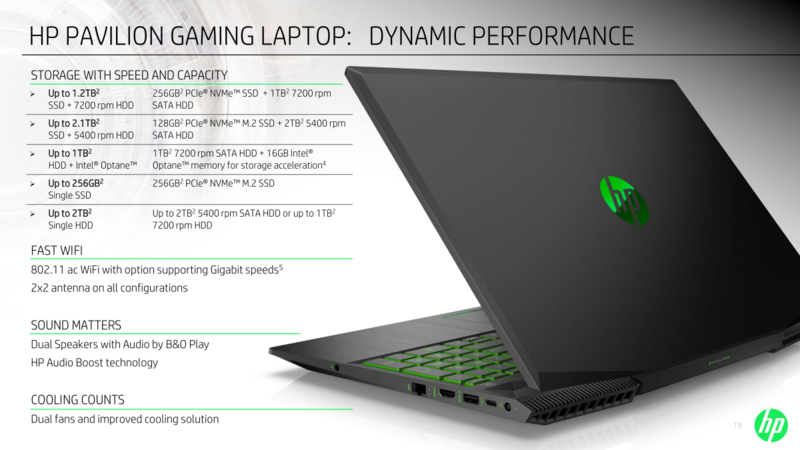 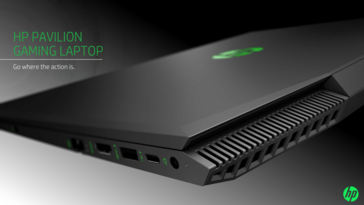 The manufacturer is claiming that the revised cooling solution will be superior to the Pavilion Power and we're inclined to agree since this is the same setup most high-end gaming notebooks gravitate towards. The 15.6-inch Pavilion Gaming is coming this May for a starting price of $800 USD for the Core i5-8300H and Radeon RX 560X SKU. 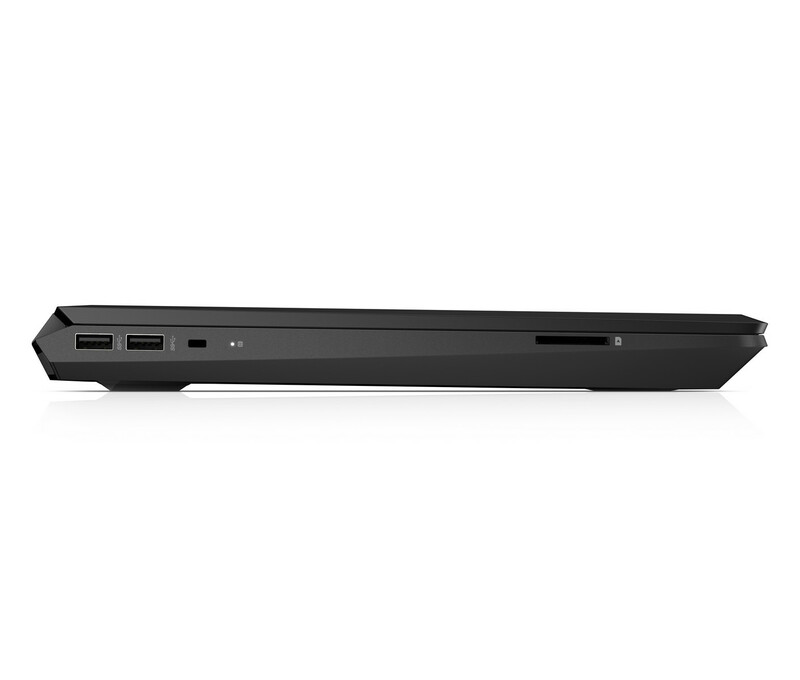 No other sizes have been announced. 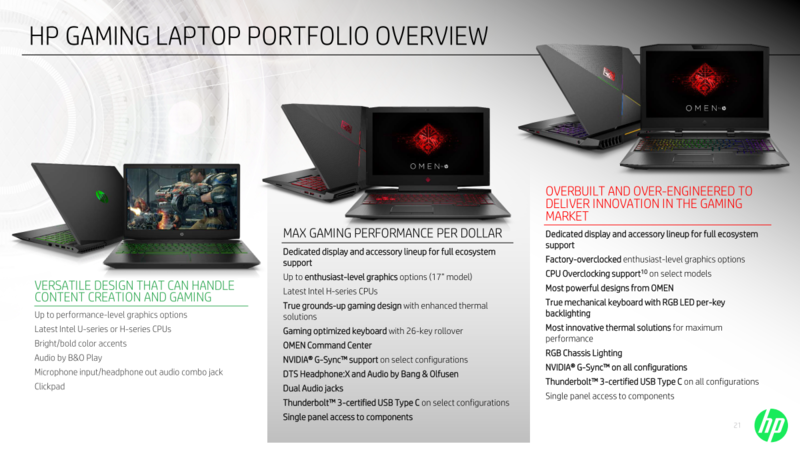 Our comparison table below highlights some of the major changes between the outgoing Pavilion Power and incoming Pavilion Gaming.